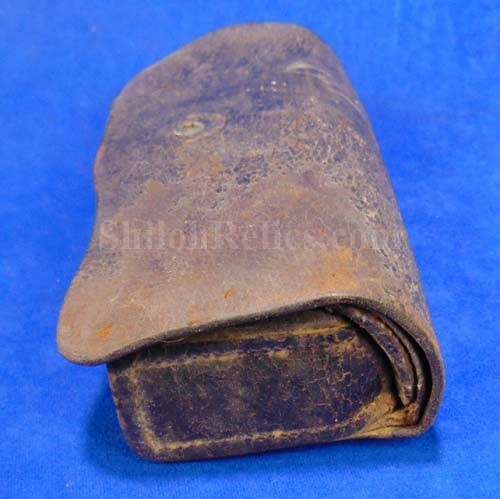 This is a nicely priced original Civil War cartridge box for the cavalry carbine. 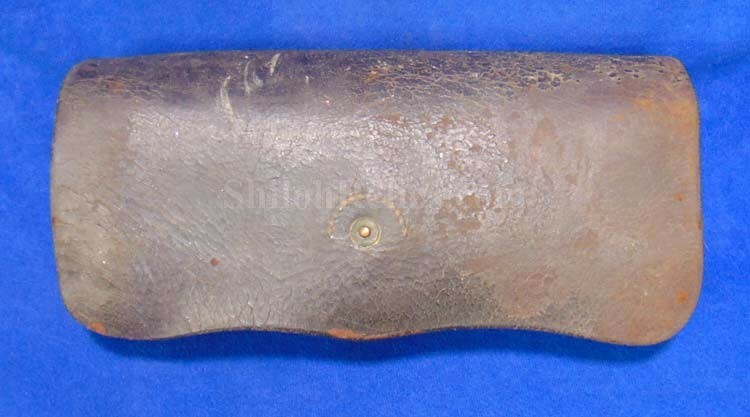 The leather is still nice and pliable but has been very heavily worn from service. 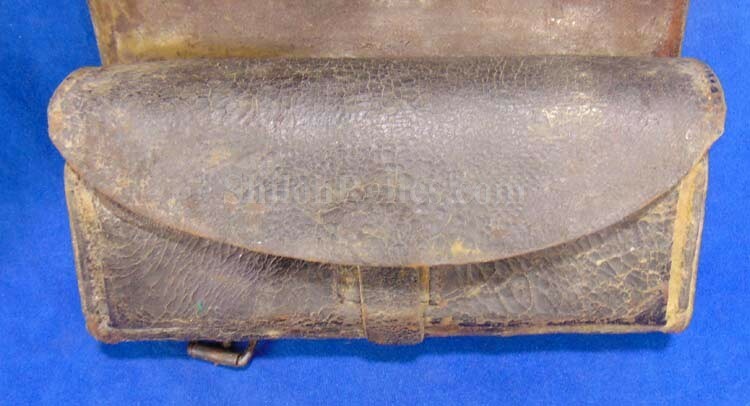 The outer flap still has a small portion of the original closure tab present. The finial is present but almost coming off. When you raise the outer flap, you are greeted by the inner flap with the ears still on the sides. 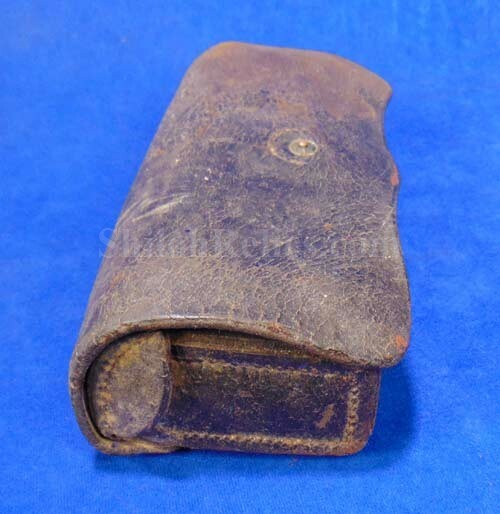 The implement pouch is still present as well on the inside. 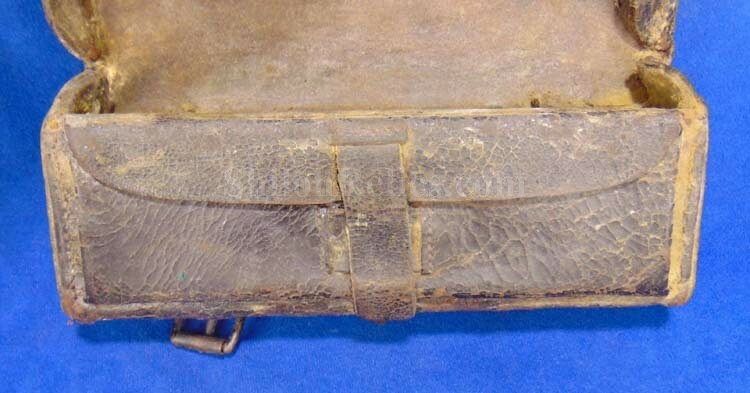 On the innermost compartment the wooden block still present. 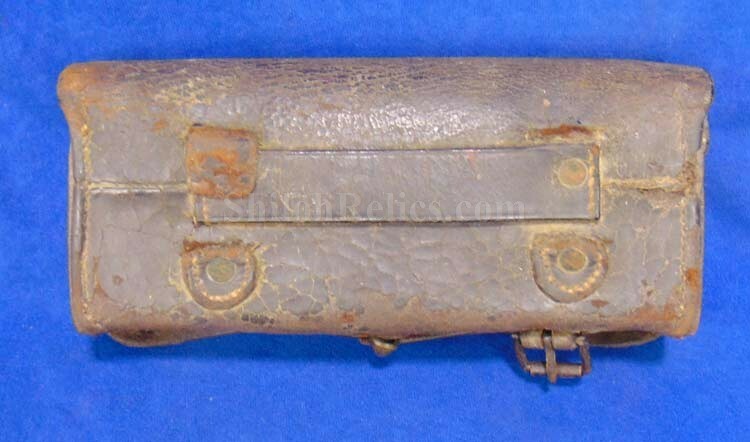 It fits the .50 Caliber Maynard carbine cartridges. 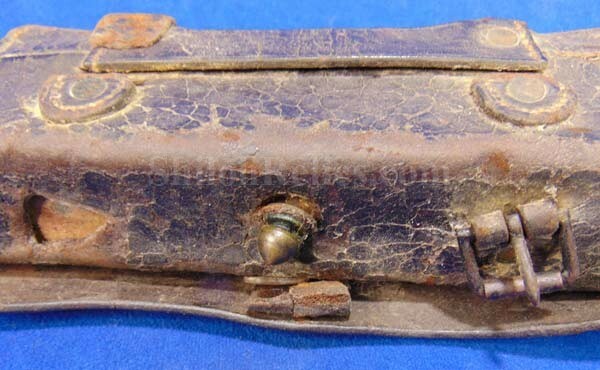 It has had one of the roller buckles removed off of the bottom of the box. It has had both of the loops on the back of the box replaced with a single wide loop. 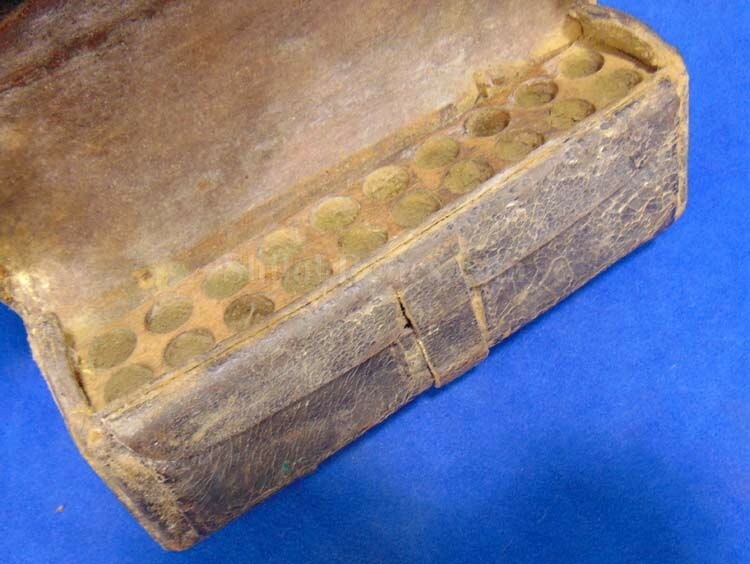 This is a nice looking Civil War cavalry carbine cartridge box that is still affordable.